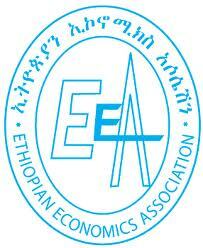 The Ethiopian Economics Association (EEA) pleased to announce the Eleventh International Conference on the Ethiopian Economy which will be held between 18-20 July 2013 at the EEA Multi-purpose Building Conference Hall in Addis Ababa. EEPFE research fellows will be presenting on this conference. The program, which is based in Addis Ababa, began its activities in late 2004 with the aim of undertaking timely and actionable research to fill knowledge gaps in the formation and implementation of economic policies, improving the knowledge base available for such analysis, and strengthening national capacity to undertake such work. The conference is co-organized by the Ethiopian Strategy Support Program (ESSP) of the International Food Policy Research Institute (IFPRI). ESSP is a unique collaborative effort between IFPRI and the Ethiopian Development Research Institute (EDRI). As before institutions such as the IFPRI, EDRI, UNDP, Future Agriculture, ECA, Environmental Economics Polciy Forum for Ethiopia (EEPFE), PANE,Young Lives Ethiopia, FSS, Afican Child Policy Forum, EPIICA as well as individual researchers will also present research papers at the conference. Participation is by registration only. Please confrim your participation to the Secretariat of the Association via Telephone +251 (0)11-645 32 00 or fax +251 (0)11-4645 30 20 or email eea@ethionet.et before July 15, 2012.